MultiMediaTechnology is a Bachelor and Master Program at Salzburg University of Applied Science. We mostly teach in german, but offer enough courses in english to accomodate incoming students who spend a term at our institution. MultiMediaTechnology is a computer science program with a focus on media / digital arts (in the tradition of german „Medieninformatik“). We offer two specialisations: Augmented Realty and Game Development and Web and Communities. After the first year students choose their major by doing a „qualification project“ in either Game or Web. The bachelor program emphasises project work, teamwork and the cooperation of our students and the students of multimediaart in interdisciplinary projects. The two year master program offers students from diverse backgrounds (BA, BSc, ..) the chance to further their knowledge in creative technologies while tackling more complex interdisciplinary projects. 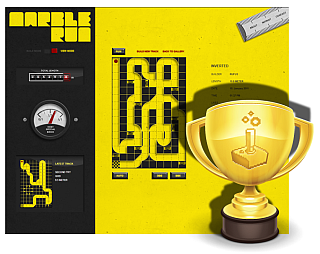 Students can choose modules from the three tracks game engineering, web engineering and interaction engineering. Only on the master level we offer the specialsation in Management of Creative Software-Projects. Students who chose this specialisation work as project manager and producers in the master projects. The master program startet in the fall term of 2011, we’ll graduate the first cohort in september 2013. 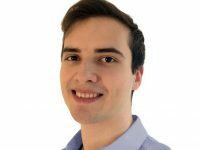 The BSc-Students Matthias Paumgarten, David Strauß and Eberhard Gräther collaborated with two people from the MA program: Nicola Lieser and Matthias Hempt, who were responsible for the visual design of the game. This collaboration of highly qualified specialists payed off: from dozends of entries marblerun emerged as the winner. The Prize: Tickets to the Game Developers Conference (GDC) in San Francisco. The unbelievable part: the five students were in their third term at university when they did the project. 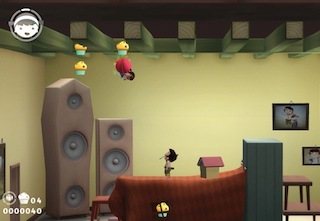 The Balloon Quest is a 2d game featuring a little boy, his sister, her balloon and a big adventure. The Game was produced in Unity, by a team of art and programming students. 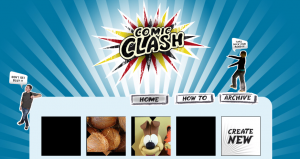 Comic Clash is a project by programmers Hubert Hölzl and Matthias Frick and designers Patrick Berger und Vera Mayrhofer from the fall term 2009/10 (their second year). With Comic Clash you can collaborate in telling a story „pane by pane“. You can load pictures from flickr (that carry an approbriate creative commons license for reuse) and add the usual speech bubbles used in comics. The application consists of a flash frontend programmed in AS3 and a ruby on rails backend. cub cub is an turn-based game for the x-box. 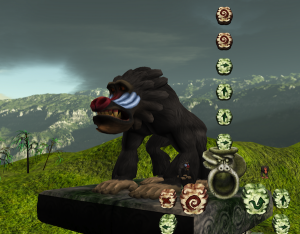 The game was invented in 2007 by a group of multimediaart students, who also did the game design, the modelling, the soundscape and a first implementation on XNA. In the summer term of 2010 a team of four multimediatechnology students reimplemented it using the OGRE engine. See the full list of contributors in the mediacube portfolio. cub cub won the special award for game production at the vienna content awards 2010. Matilda is a project by programmers Matthias Schmidt and Andreas Alfaré in collaboration with designers Melanie Daveid, Jürgen Hassler. The developed it as their final project of their bachelor studies in the summer of 2011. 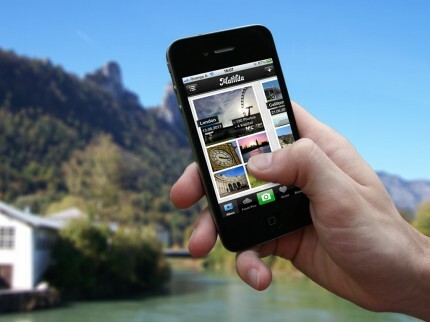 With this native iPhone application you can take and organize photos. You can also use the the app from a browser. The backend was programmed in ruby on rails. After leaving university the four did not abandon the project, but developed it further until publication in the App store in the Spring of 2012. All student projects are documented in our portfolio site. Find information for international and ERASMUS students on the website of Salzburg University of Applied Science.